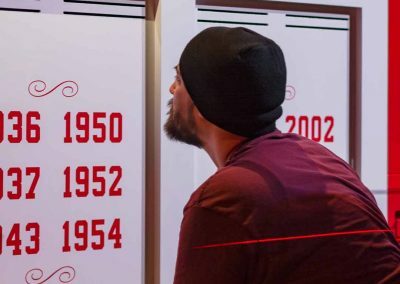 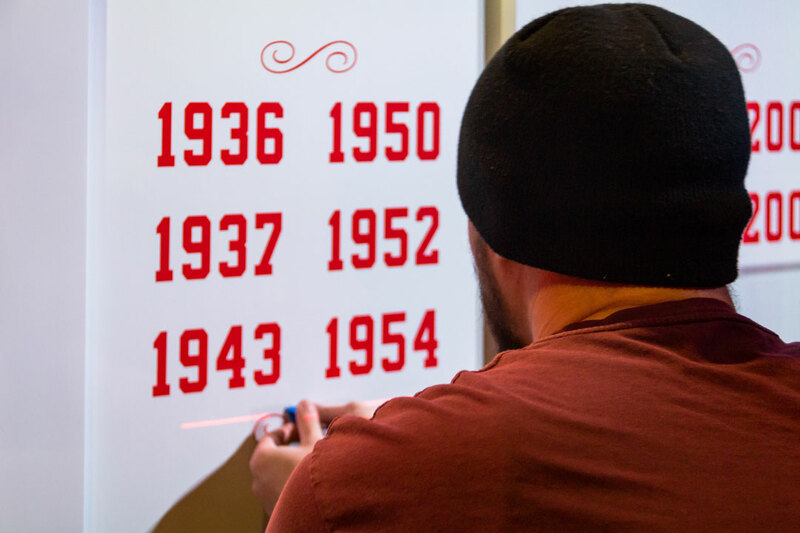 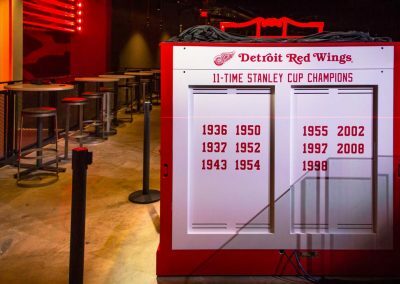 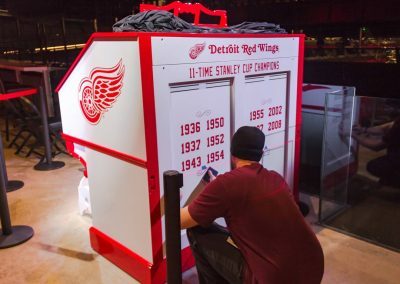 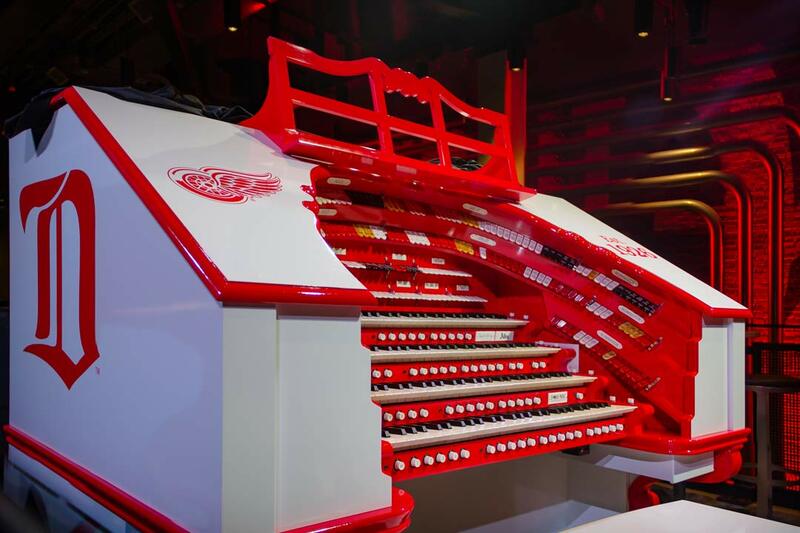 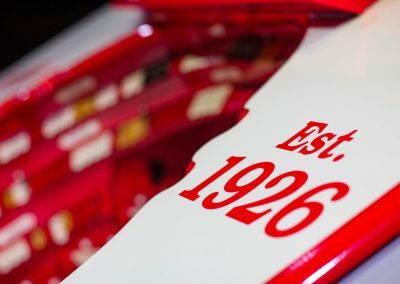 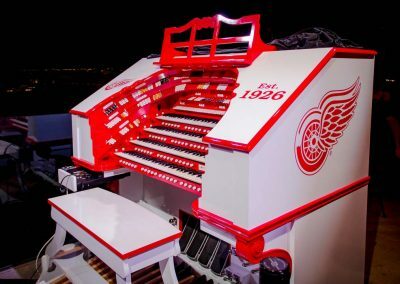 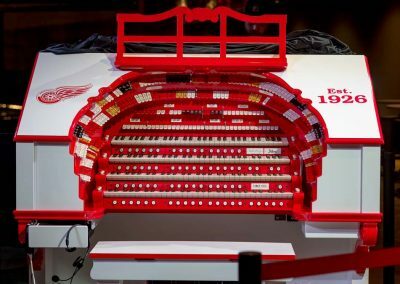 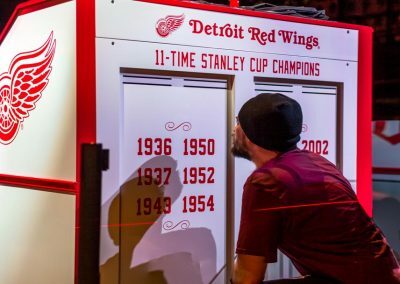 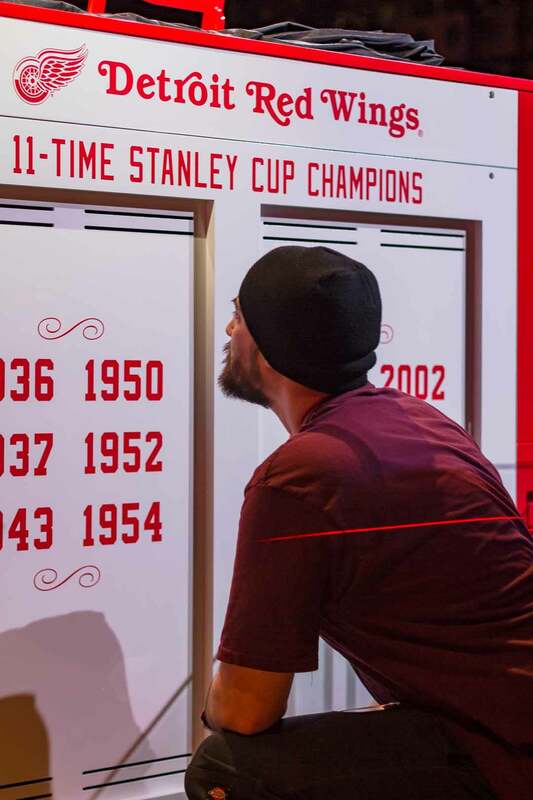 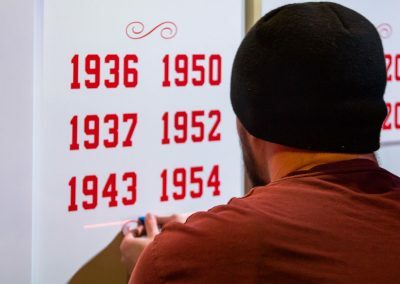 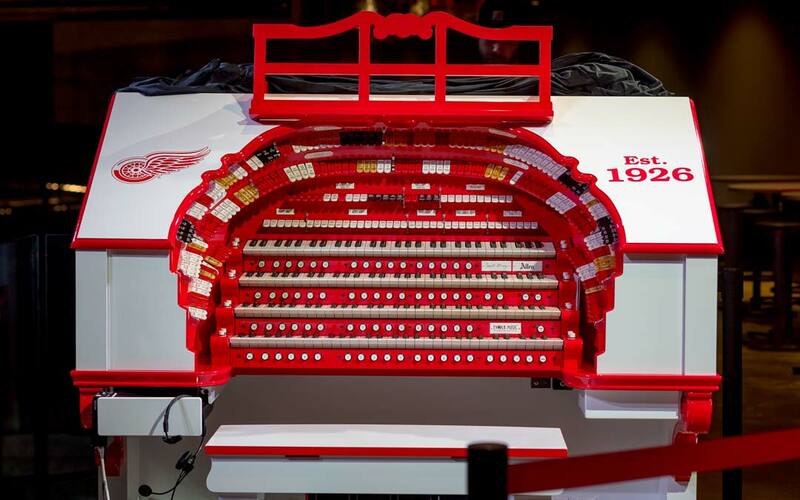 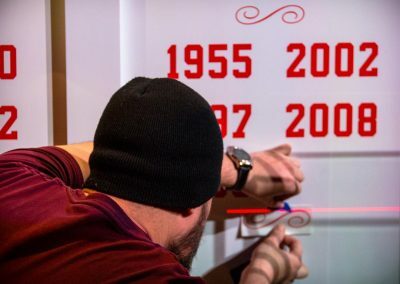 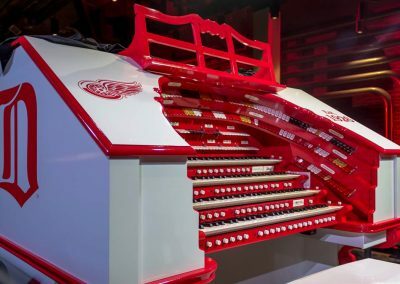 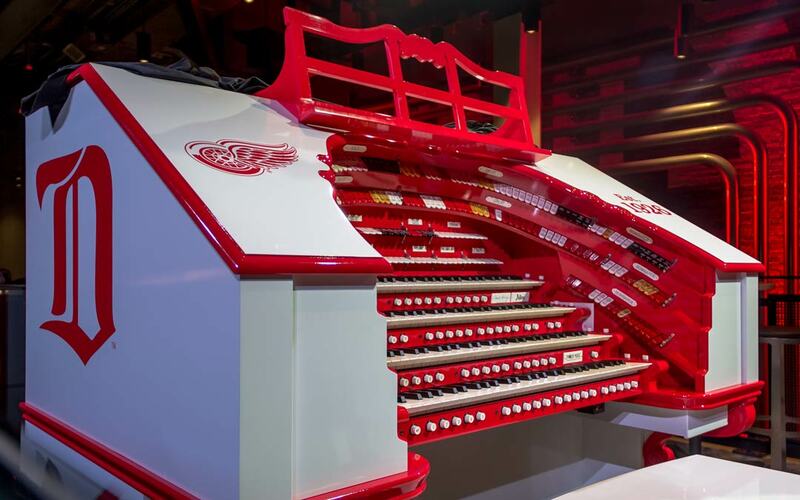 We had the pleasure of updating graphics on the Little Caesars Arena Organ, modeled to bring back the nostalgic feeling Mr. Ilitch had felt as a youth at the Olympia Arena of yesteryear. 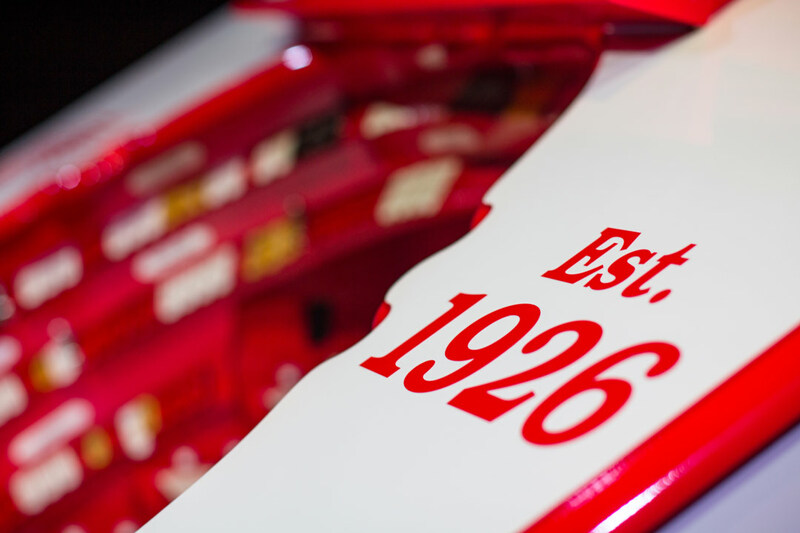 Check out our highlight of a BEAUTIFUL piece of culture few get to see so closely. 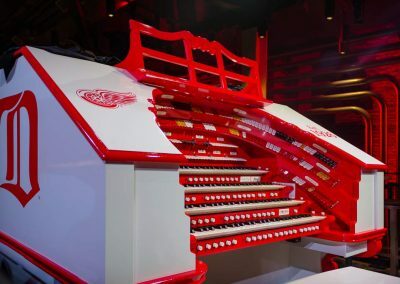 For a before look and more details on the inspiration, check out this article from the Detroit Free Press. 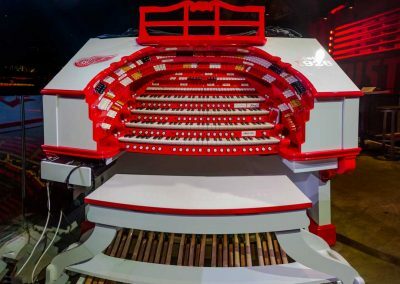 Close up beauty shot of the theater organ designed for the new arena to bring back the nostalgic feeling felt at Olympia. 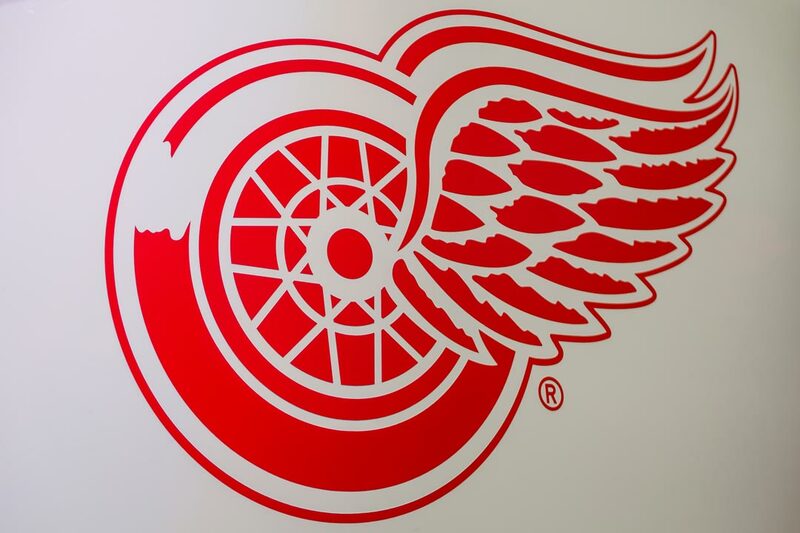 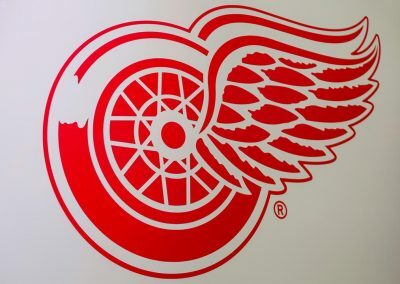 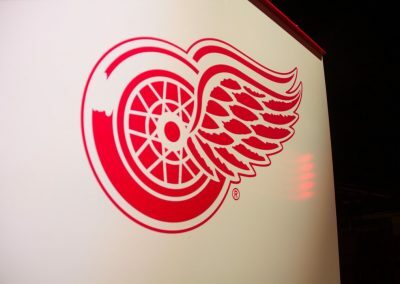 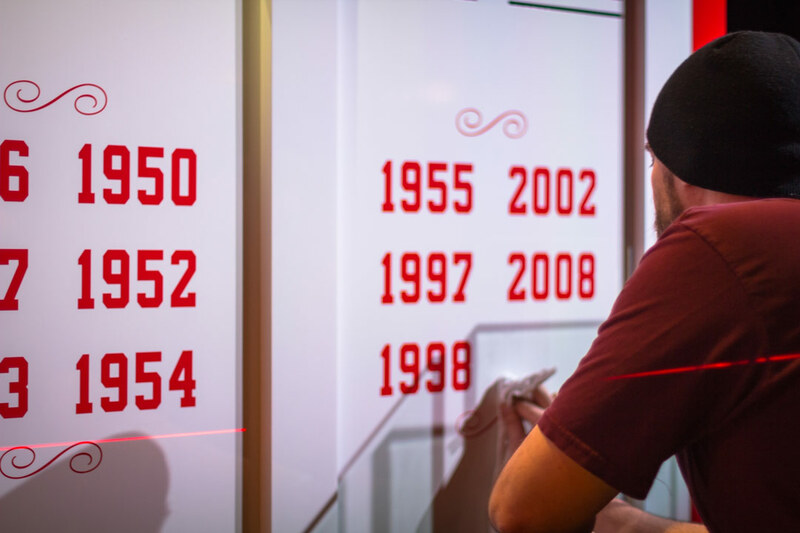 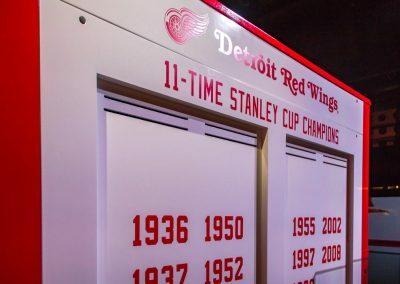 Unique finishing was applied to show pride in our wings, and honor the legacy of the team. 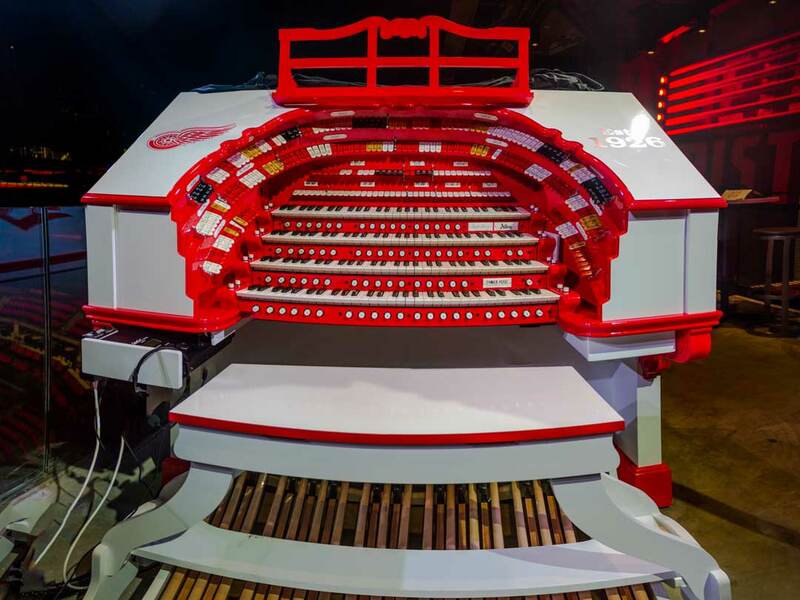 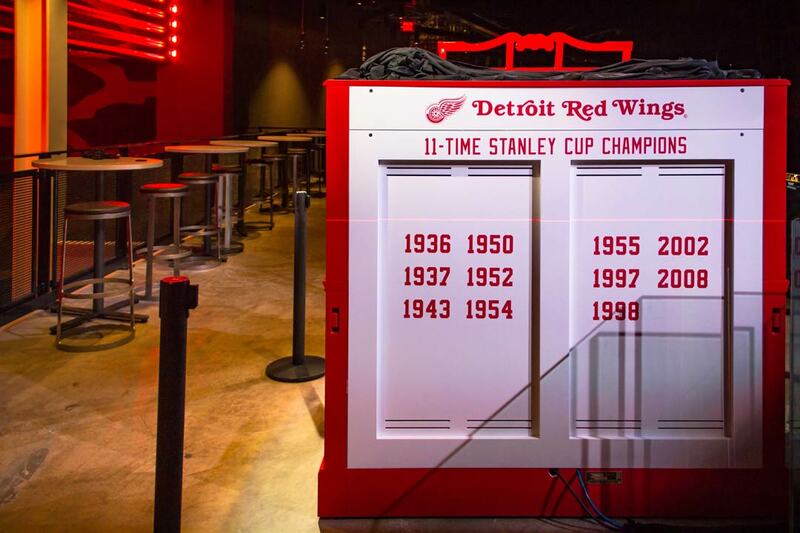 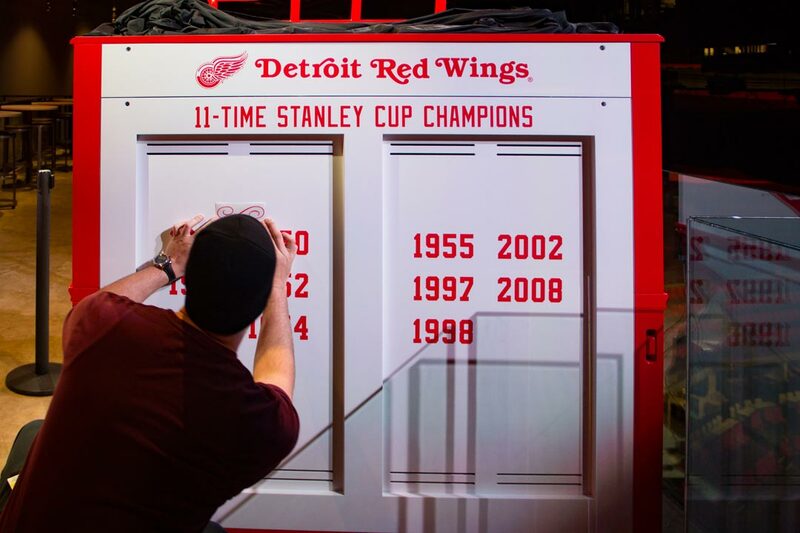 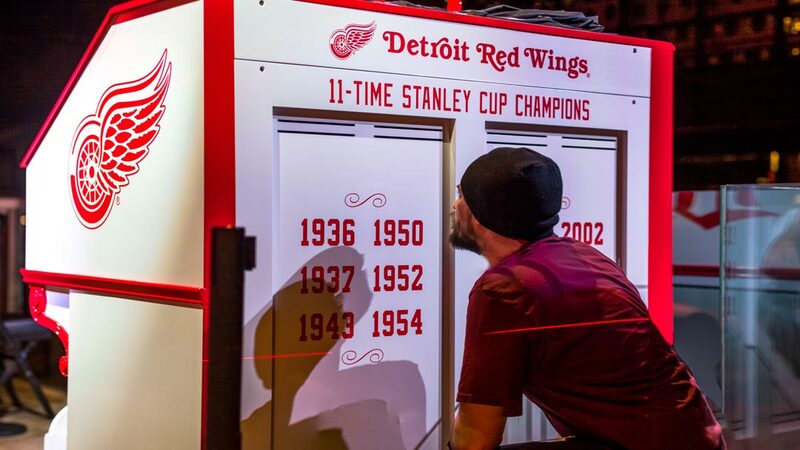 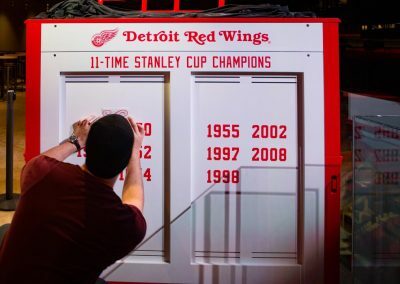 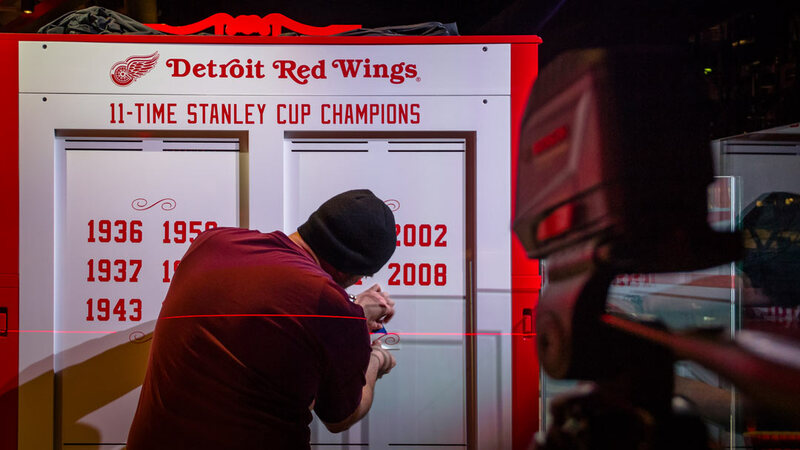 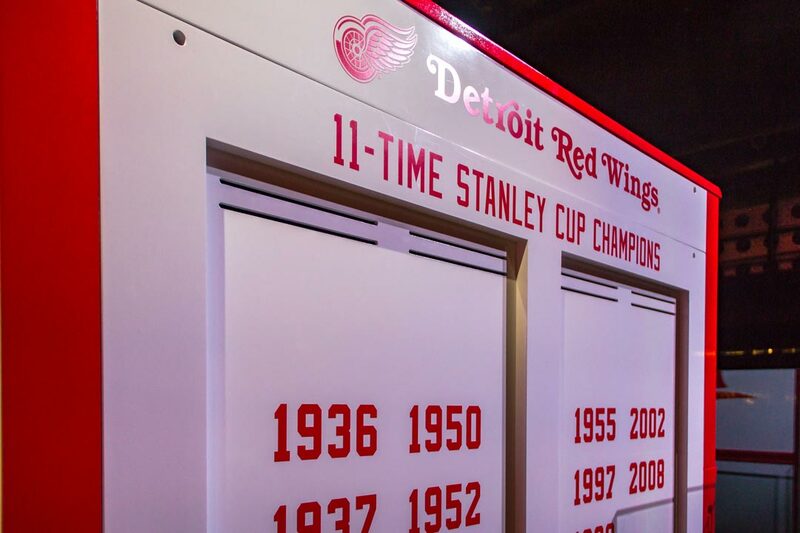 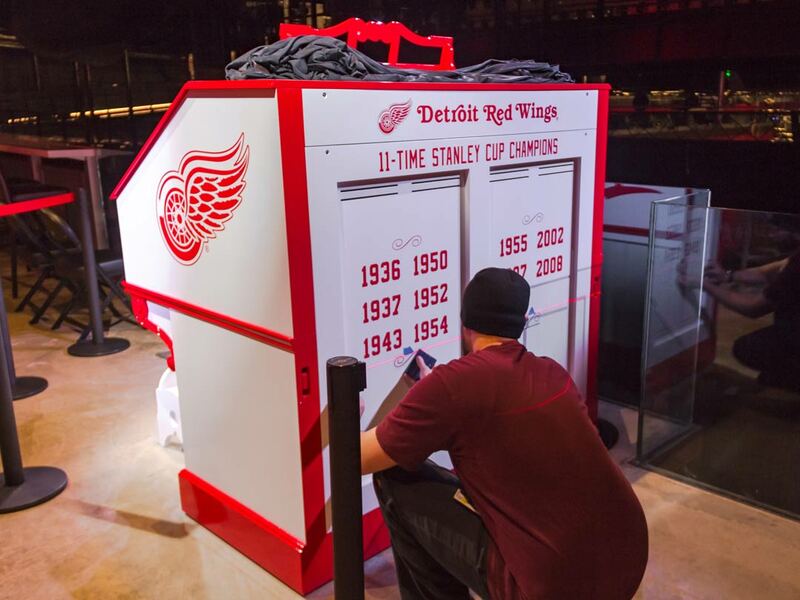 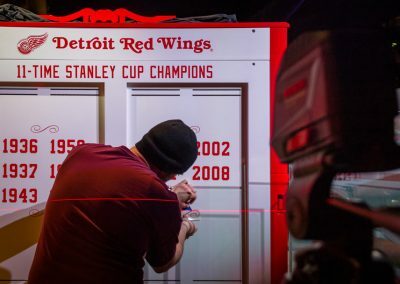 The rear of this organ has been emblazoned with championship year, of which 11 time our Wings have claimed the cup! Proudly overlooking from the top of the arena, she sings down to the crould below to rally the team. 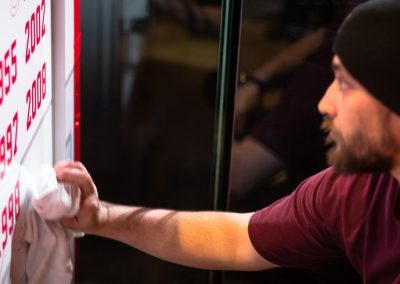 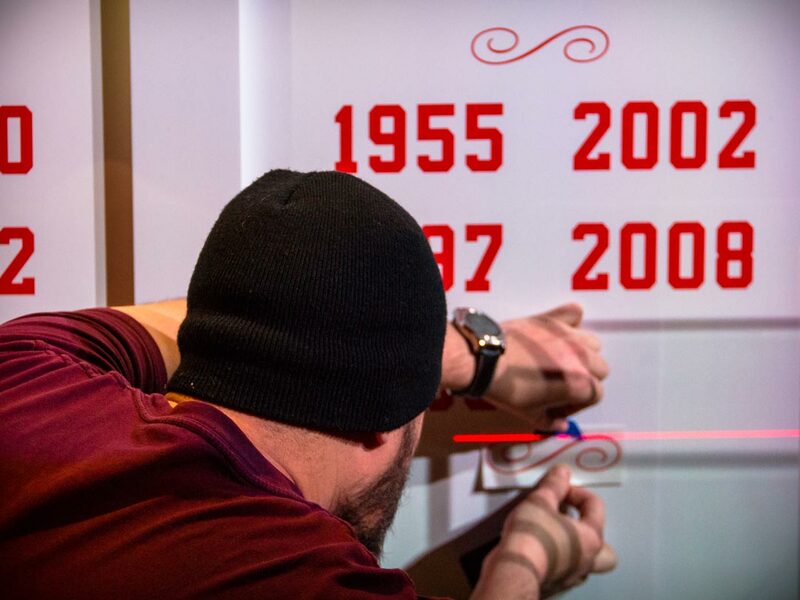 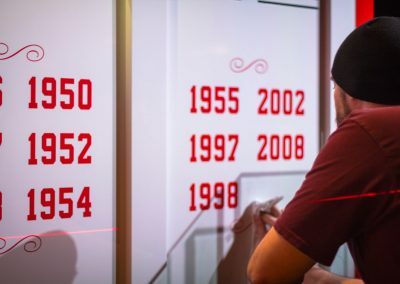 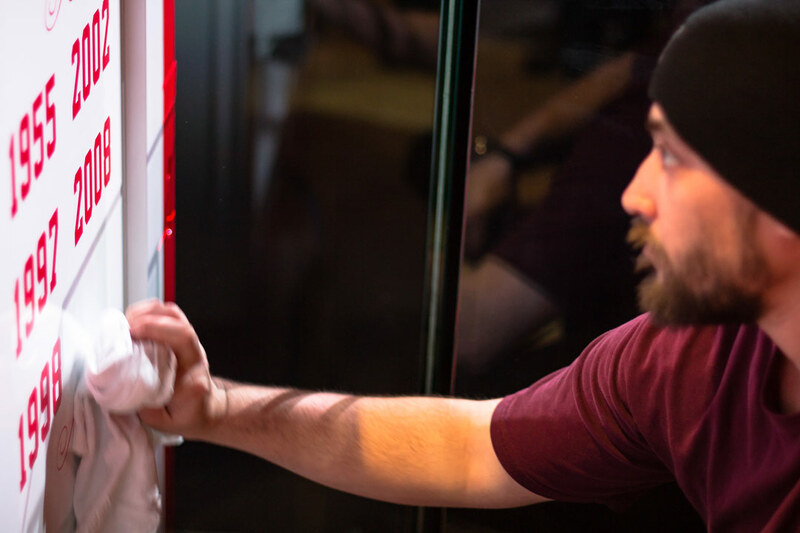 Installer adding finishing details to represent the team legacy.